that took place in January. 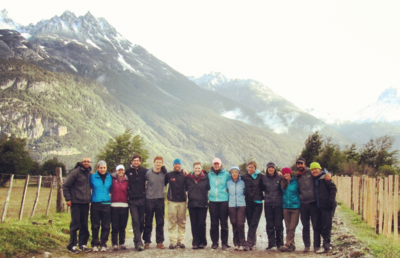 Last December, 11 Columbia Business School (CBS) students completed the first 10-day CBS Leadership Expedition to Patagonia. Maya Mandel, CBS class of 2013 and president of the Outdoor Adventures Club was responsible for bringing the course to fruition. Initially introduced to NOLS through a Bloomberg BusinessWeek article, Maya was interested in what NOLS could offer her and her peers. After discussing several different options, it was determined that an expedition to Patagonia would best suit the CBS students. When it comes to hearing about how courses are going, no news is good news... but good news is great! 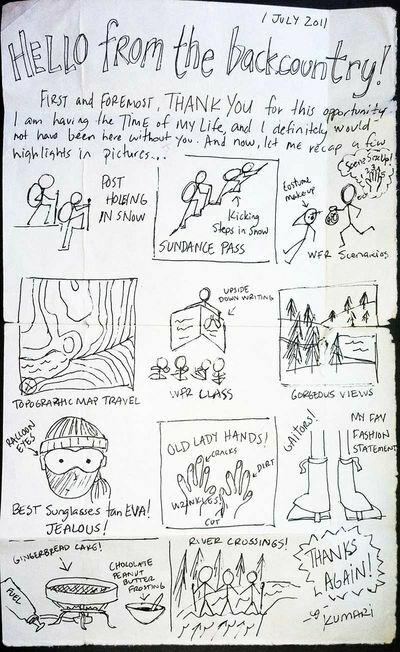 Kumari Ratnayake, a student on a Rocky Mountain Outdoor Educator course sent this letter out from a food re-ration to us here at NOLS HQ. The rules were simple. We asked people to make a video answering the following two questions. What is your dream expedition, and how will you prepare for it? We received over 60 videos, all with very inspiring dream expeditions, by the time the contest ended. NOLS has been recognized by the Chilean government as a leading organization in Chile that practices and promotes sustainable tourism. 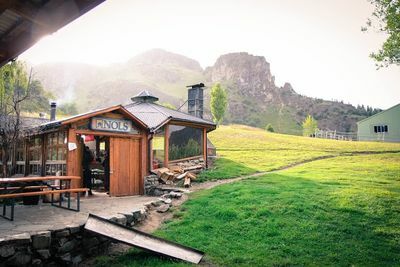 Chile’s National Secretariat of Tourism, which granted NOLS this award, commended the school for the impacts its graduates have made in the field of sustainable tourism in Chile. We have seen more and more videos start rolling in for our the NOLS Dream Expedition Video Contest, with a surge of entries coming in over the last few weeks. They range from the simple and straightforward to wild stop-motion animation techniques, with dreams about hiking the Appalachian Trail, summiting far-off peaks, high altitude tight-rope walking, trekking to remote Africa to give medical aid, and more. 80 Days in Patagonia? "I'd do it again in a heartbeat!" 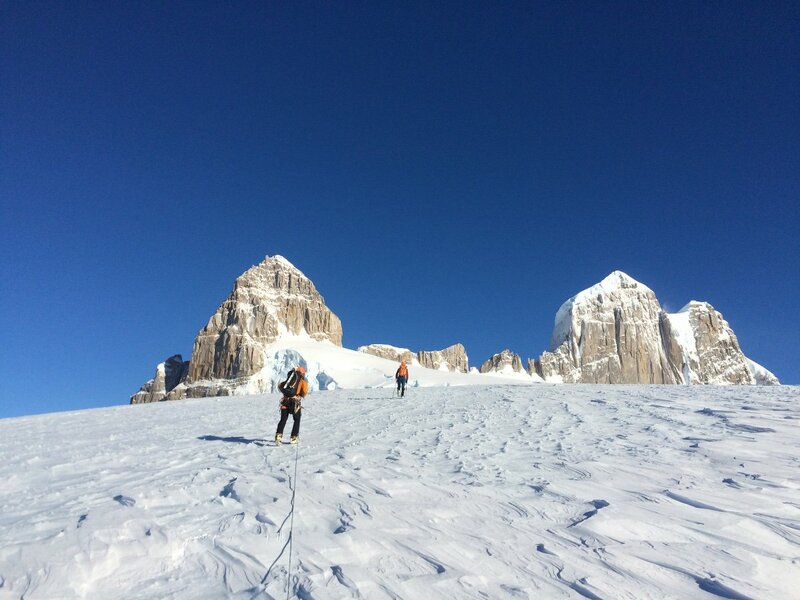 NOLS Patagonia graduate Ben Kemmer just returned from a Semester in Patagonia and made a splash in his home town of Beverly, Massachusetts. 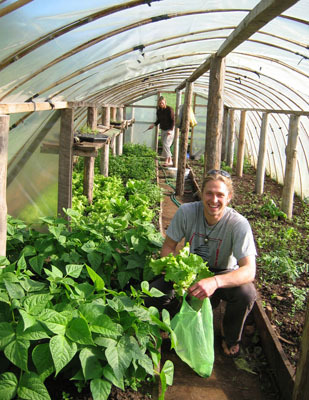 Check out the article about Ben here.